The positive Net income results and jump in second-quarter profits were the results of the recent spinoff of its animal-health unit Zoetis, and the $1.4 billion patent settlement with Teva’s and Sun Pharma patent infringement over Pfizer’s drug Protonix, an acid reflux medication. Under the settlement, Takeda, Pfizer’s partner in marketing the drug, will receive 36%, about $774 million from the settlement, with the remaining 64% going to Pfizer. Teva will pay $1.6 billion, half this year and the rest by October 2014. Indian generics maker Sun Pharma will pay $550 million in damages in 2013. The 7% fall in revenue was due to an operational decline of 4% and an unfavorable impact from foreign exchange of 3%. Here, the biggest culprit was Lipitor’s loss of exclusivity. Revenue from Prevnar 13, a vaccine for pneumococcal infections also took a toll on the numbers, falling 3% to $969 million, owing to shifts in government purchasing patterns for bulk orders of the world’s biggest selling vaccine. 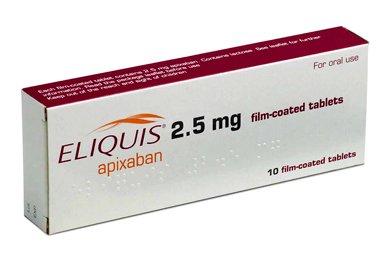 Two other new products introduced this year were the blood thinner Eliquis and rheumatoid arthritis pill Xeljanz, two expected blockbusters. Sales of Eliquis weren’t disclosed, though Bristol-Myers Squibb, which splits revenue from the drug with Pfizer, reported just $12 million in sales in the second quarter. Bristol-Myers said it was overhauling its plans to market the drug. In a phone interview with Bloomberg, Pfizer’s CEO Ian Read said “I would agree that Eliquis has recently gone below our expectations,” but he was happy with Pfizer’s partnership with Bristol-Myers Squibb. As for Xeljanz, it sold $33 million, after analysts estimated it would sell $42 million. Read said that “Our expectations (for Xeljanz) weren’t as high as the street for the initial launch,” and that “It’s going to be a steady but sure growth in this product.” Xeljanz still isn’t approved in Europe, and a several-year wait for approval is likely, the company said today, not surprisingly, following the CHMP’s second negative opinion on the rheumatoid arthritis treatment. Some highlights include revenues from oncology drugs, which increased by 28% in the second quarter, due to the new products Inlyta and Xalkori. Other positive standouts were Lyrica, Pfizer’s drug for neuropathic pain, which grew 10% to $1.13 billion. Anti-inflammatory pain reliever Celebrex also saw an 8% increase to $715 million. Sales of Viagra remained at $484 million, despite Pfizer’s decision back in May to start selling Viagra online to counteract the massive amount of counterfeiting of the pill on the Internet. Viagra recently lost its patent in many European countries. Pfizer generics business, which represents 17% of total sales, had far lower profit margins than its patent-protected drugs. These results were preceded by the announcement yesterday that Pfizer was splitting up its business operations into three corporate segments. The units are: Innovative Products Group, which will include therapeutics that are expected to have market exclusivity beyond 2015; Vaccines, Oncology and Consumer Healthcare, all three of which will operate as separate businesses; and Value, which comprises generic products and drugs that will soon lose their patent protection. Although these moves may point out that Pfizer is heading into splitting itself, like Abbott Laboratories and it’s AbbVie spinoff, a Pfizer spokeswoman said yesterday that “At this time, we have not made and are not in a position to make any decision regarding any potential future action that could involve an external split of these business segments,”. Chief Financial Officer Frank D’Amelio stated that such a split almost certainly wouldn’t happen until at least 2017. This is in part because Pfizer needs three years of audited financial statements, as well as time to get the new divisions running smoothly on a separate basis.